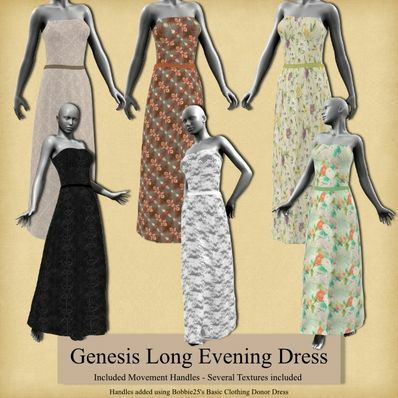 A Long Evening Dress for Genesis for use in Daz Studio 4. Had a lot of problems making this. Have added movement handles using Bobbie25's Donor Rigging Dress. Your added MAT zones are like little jewels, thank you.